[New for 2016, Apr-Jun availability] It's been too long since I've had a new ice cream flavor from Turkey Hill. Technically it feels a bit late to reveal a Red Velvet flavor since it was trendy in 2011 and pretty mainstream by 2014, but it's 2016 now. Can TH serve up something different here? OH MY. It's so pretty! I take a few bites and all I can say is "oh chocolatey swirl, I missed you so much!". I don't think I've had anything similar since their Liberty Mint flavor. It's almost salty but oh so delightful and flavorful. I love a thick, hardy swirl and this delivers in a big way. There are a good amount of cake bits. 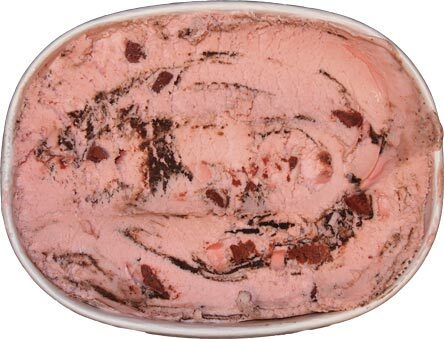 They are fairly dense and it's their texture that is adding to this ice cream as their flavor is mostly overridden by the swirl. 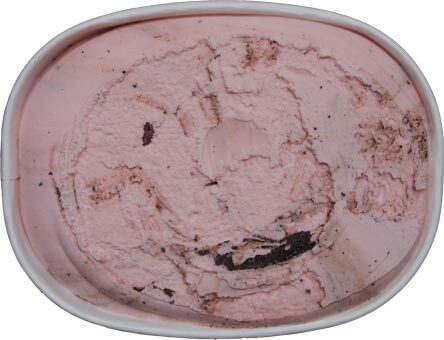 Hehehehe, it looks like red cookies and cream on your spoon when you scoop it up (that's a positive thing). It's weird not to having a cream cheese factor. No, you don't need it, but most companies include one. I am curious what it would taste like with it, but I'm fine without it. The swirl really is the star here because it's so flavorful and present. I need to try to scoop just the base... it's hard to describe, but it does have a cake vibe to it (it's red so my brain wants to register strawberry). That said, it's no match for the swirl, but fun none the less. I just mixed up the last of it and man is that good. Like a high octane cookies and cream. Must resist urge for second bowl.... WANT MORE. On Second Scoop: Ok, I may be having this ice cream for the third time today. I had it once in a breakfast sundae, once in the afternoon for a snack (the words you see above), and now one as my final snack of the day. Call it a rebound day as I only had one small serving of ice cream when we got home late last night. The biggest selling point is the swirl. We've had it a few other times and it really is one of the best weapons in Turkey Hill's arsenal (not that they don't have a few excellent swirls). Getting a bite with one or two cake bites in it is also a big plus. 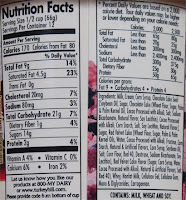 The only half-hearted complaint you could make is that the red velvet flavor should be a bit stronger, but that's just nit picking. 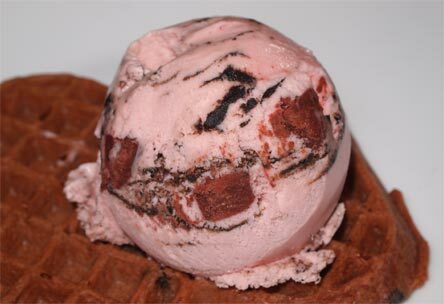 The swirl and the cake bites together are just too much flavorful fun to knock this flavor. Give it a shot if you can! Looks really good, but I can't find it at my local Food Lion or Harris Teeter. Where did you get it? I've had this a few times and love it! The swirl reminded me of their Cake Batter flavor or the one from their Brownie Blitz Pinstripe flavor. TH has always been #1 to me, especially because of their swirls! Do you know if it's the same swirl as their "double dunker" flavor? I love that! The swirl seems similar to the Double Dunker swirl to me. Which means that it is amazing!! Loved this flavor from TH. Dubba, you were right, Red Velvet Cake did just pop up in my local Food Lion. On Second Scoop tomorrow but the cake pieces will still be inedible. 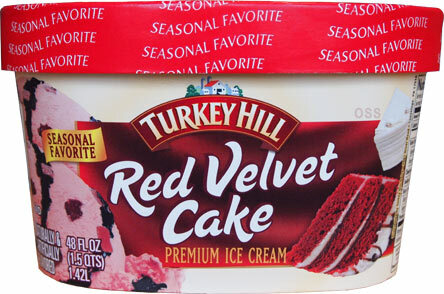 So I didnt grow up with Turkey Hill as my grandma only ate Hagaan Daz, but MAN this version of Red Velvet is my new favorite ice cream on the market right now. I dont think anything Ben and Jerrys does this year will be able to top this, and for years I was a Ben and Jerrys fangirl. 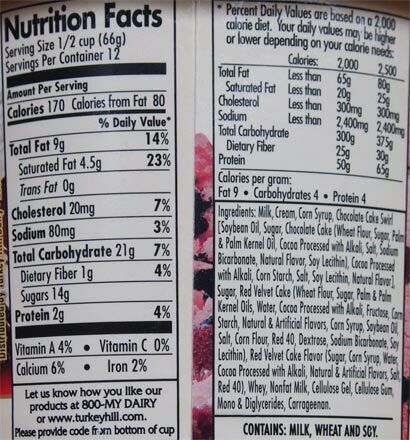 I can understand why some people didnt like it, as its not a true red velvet cake without cream cheese frosting....But as someone who loves cake ice cream and HATES cream cheese or cheesecake flavors, I really appreciate it. You can always buy those sweetened cream cheese dips that they make for fruit, thin it out and add it to the ice cream. I recall tasting oreo creme in the Double Dunker swirl, so although similar texture wise and with the same type of cocoa, I dont think the swirls are exactly the same.